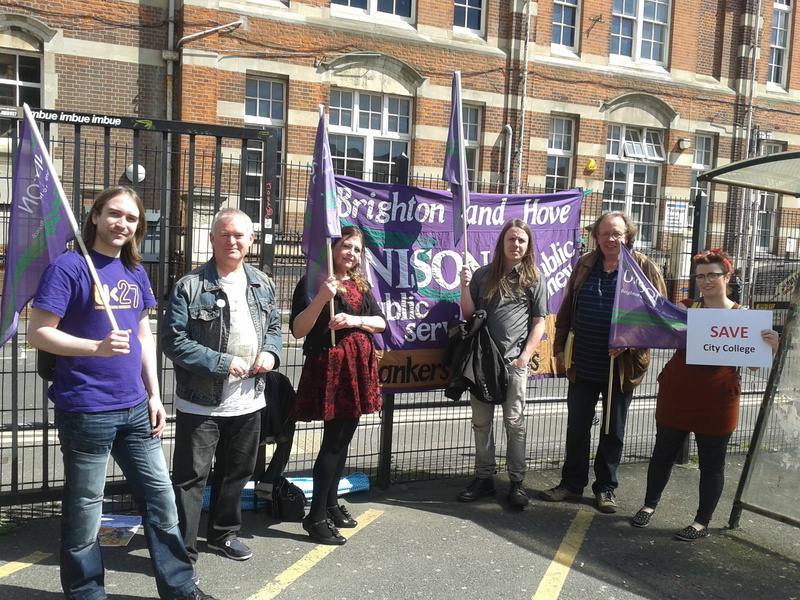 Branch members are fighting the threat of compulsory redundancies and course closures at City College, Brighton. They joined UCU lecturers’ union colleagues and other supporters outside the college today (3 May) to protest at the college management’s plans. The college is in financial crisis and wants to cut £1.5million from the staffing budget – at the same time as embarking on a huge building programme! Show your support by emailing the college management on info@ccb.ac.uk to protest at cuts which will hit both staff and students.